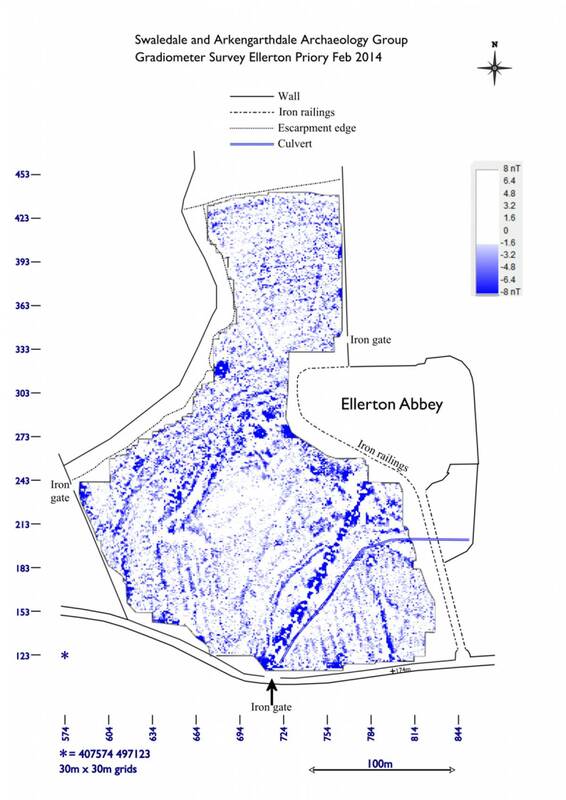 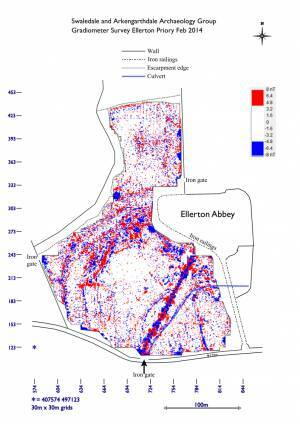 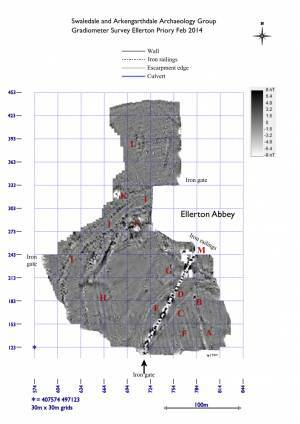 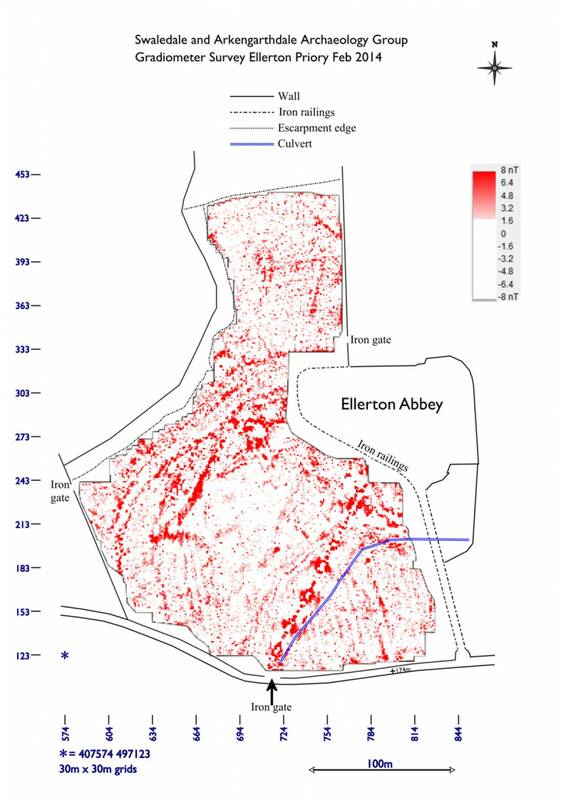 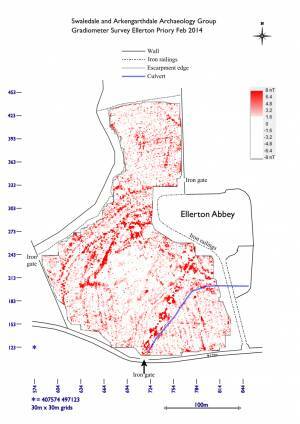 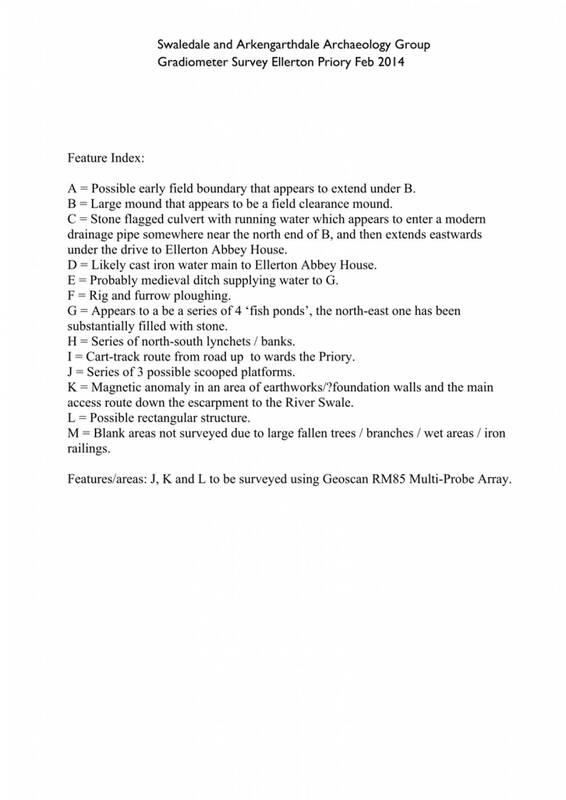 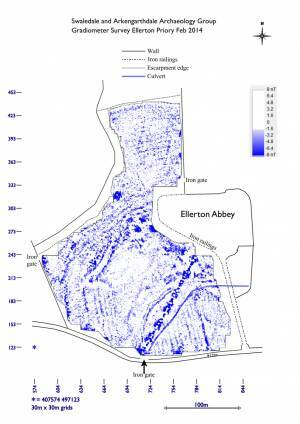 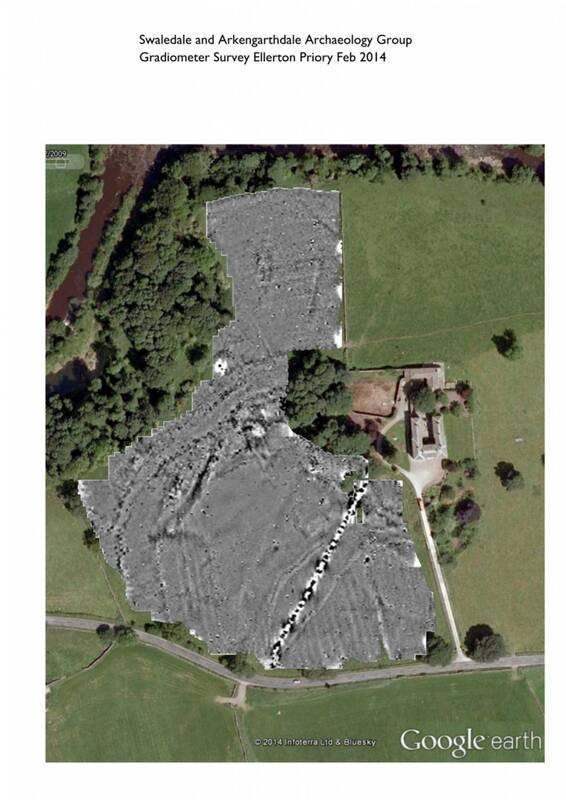 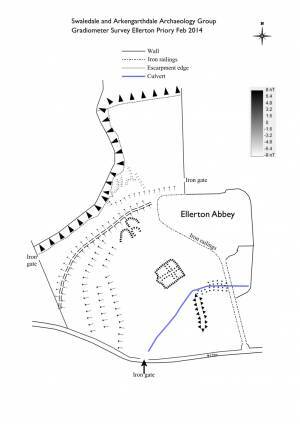 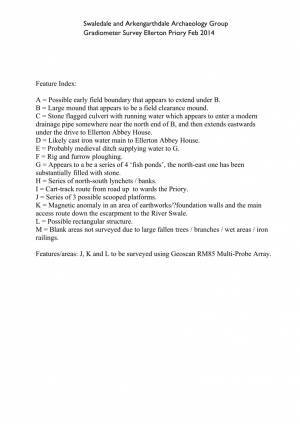 Record Description Ellerton Priory west field geophysical survey phase 1 (interim data) shows the primary data from a gradiometer survey using a Bartington 601-2 instrument. The survey will be published at a later date and submitted to the Heritage Gateway via OASIS. Copies of the report will be made available through the Heritage Gateway, the YDNPA HER and by SWAAG. 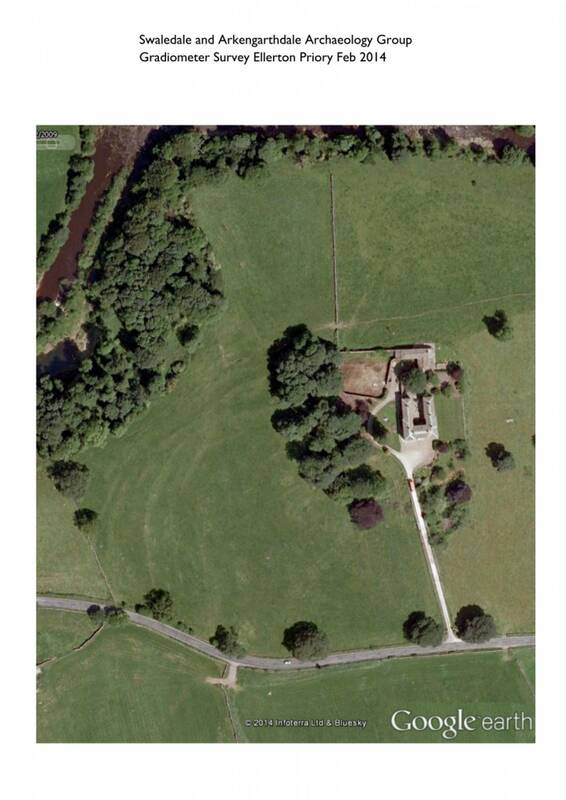 This survey is taking place in association with the YDNPA and English Heritage.